THIS GIVEAWAY IS CLOSED!! !I am so happy to announce the giveaway winners! There are two lovely ladies (staying in Singapore) join this giveaway. Thanks to everyone who entered. The winner of my blog's giveaway is Ong M.Y!!!! Yippie!! So so happy to announce that I have another Giveaway for this month!! This time round (to celebrate Singapore' birthday and of course 4 Days continuous holiday) I'm DIY-ing hair accessories for one adorable little girls in Singapore. 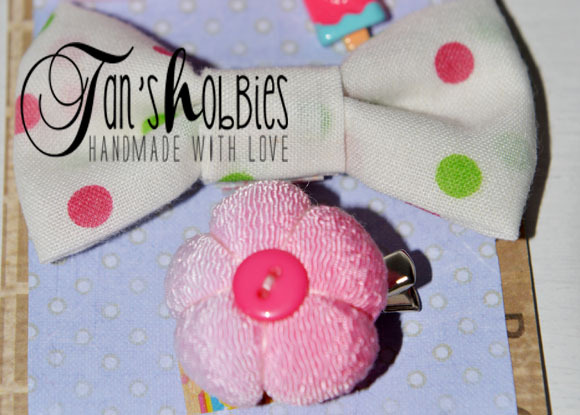 1 set of cute and lovely hair pins for little girl friend, made with love from fabric, cute button/gem and felt!! 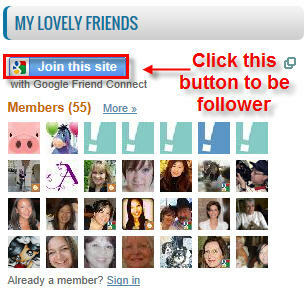 Leave a comment on this (August 2013 Giveaway: DIY Hair Accessories) post. Closing date: Saturday, 31st August 2013 11:00 p.m. I'll choose 1 winner randomly and announce the name here on Monday, 1st September 2013. The winner could meet me at Punggol MRT to collect the Hair Accessories. They are so pretty! Thanks so much for sharing your talent with us at CCCB! 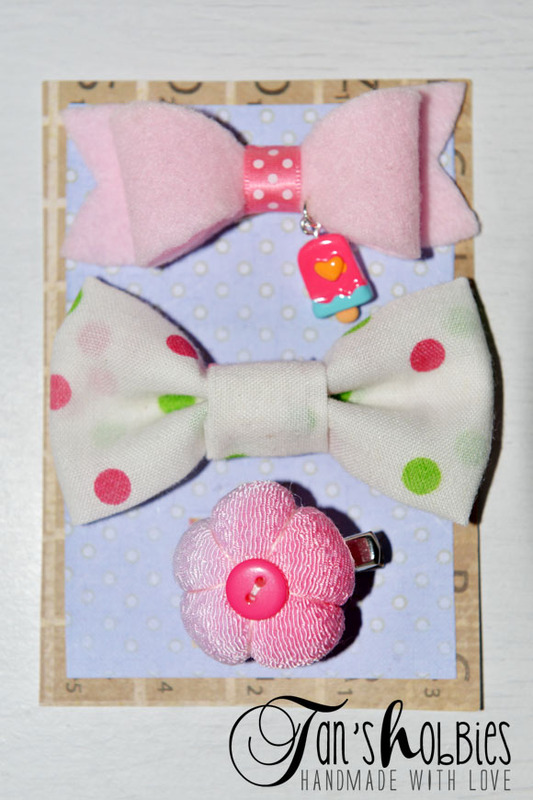 Super cute hair accessories! Love the popsicle! So talented! These are SUPER SUPER CUTE and I always LOVE YOUR FABRIC CREATION !!! Very nice and beautiful job !!! LOVE THEM ALL !!! (^o^)v"""